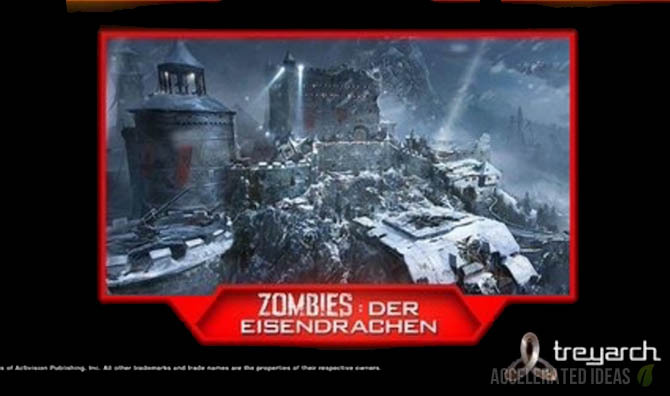 Treyarch have officially announced Der Eisendrache, the first zombies DLC map for Black Ops 3. As part of the Awakening DLC pack, players will be able to download 4 multiplayer maps and the new zombies map in January 2016. A little surprising and unusually early, Treyarch made the announcement at the Playstation Experience event in San Francisco. Seeing as how Sony has early access to Black Ops 3 DLC this year (as opposed to Microsoft who had access in the past) it makes sense that Q4's biggest Sony event would be the place to reveal the first DLC pack. Apart from the title of the pack and the name of the zombies map, we received only a scattering of information on the first installment of DLC. 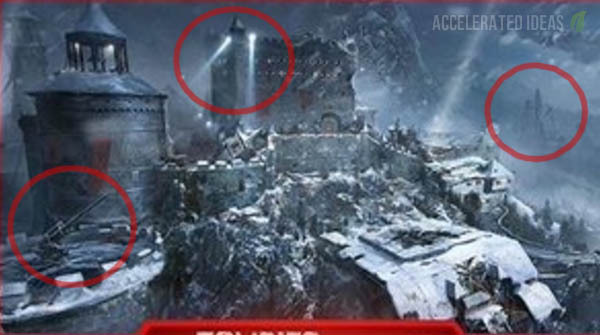 Thankfully we did get an accompanying HD poster/image which clearly shows that Der Eisendrache is the speculated "castle" map, set in a snowy environment. Further backing up the recent leaks on Reddit, Der Eisendrache translates to The Iron Dragon and certainly takes place in the 20th century World War 2 period. Some have speculated that this will be the Eagle's Nest; a fortified retreat in Germany that was purposely built for Hitler during World War 2. This secret location also made an appearance in the Band of Brothers TV series on HBO. However, the Eagles Nest wasn't much of a castle and I suspect that Der Eisendrache is more of a research lab set in Austria. 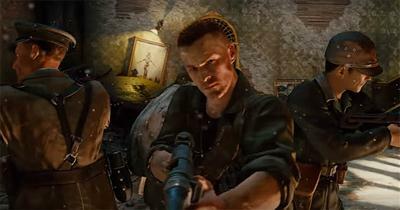 Following on from the Giant, this map will likely follow the original characters: Dempsey, Nikolai, Takeo and Richtofen. It will not follow on from Shadows of Evil. We can clearly see a rocket launch pad at the back the image, possibly for a long range V2 rocket. These devastating rockets were the Nazis solution to bombarding London from the safety of Western Europe. I would hazard a guess that this launch silo plays a similar role to the one in Ascension; either as the doorway to Pack a Punch or even as part of the Easter Egg. To the bottom left of the image is a clear sign of an Anti-aircraft weapon, pitched on top of one of the castle towers. It's likely that this is just a cosmetic effect and not an actual trap to use against zombies. These could easily be a trap, similar to the watch tower trap in Mob of the Dead. This trap used to pick off zombies with an assisted sniper rifle or even rocket launchers for the upgraded version. The Origins map from Black Ops 2 introduced us to a dynamic weather cycle that progressed through snow, rain and dry states. It's likely that Der Eisendrache will include the same dynamic weather and possibly dig sites. Those who have bought the Black Ops 3 season pass or who have pre-ordered DLC 1 can claim their free Der Eisendrache theme for PS4. The theme includes a nice HD background from the DLC 1 zombies map, in addition to familiar title screen music and SOE sound effects. It's a worthy addition to get you excited for the first DLC of Black Ops 3. Fans can now pre-order the DLC (for PS4) using the official Playstation Store (website or directly through console). DLC costs $14.99 and consumes only 19.4MB of disk space.